So many French words for these international events. 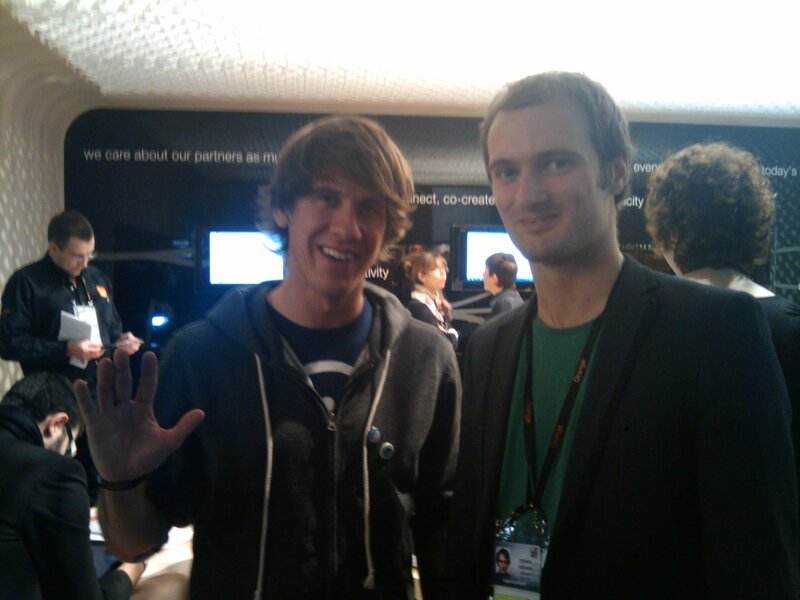 Thanks to Cyril, I went to Le Web. I met professionals from the interweb and could pitch Beansight to many of them. Some talks were really interesting. You can watch the videos online. I could talk to many people from the web ecosystem. I met Matt Mullenweg, founder of the company behind WordPress and Dennis Crowley founder of foursquare. Today, we have an opportunity to grow with Le camping, a 6 months incubator. There were 160 startups, and now we are among the 25 last ones. Only 10 will survive. It went well, but of course we had to face really specific questions, questions that we couldn’t answer with precise figures. Our product is very early stage and we haven’t validated any of our market hypothesis. We are convinced that our vision and business model will evolve, we don’t want to focus on something, we want to be able to retarget our product. In the end, I really hope we get accepted into the program. It would be an unique way to work together with professionals and to gain visibility. One last thing, we chose our host for our servers : the team behind the Play! framework recently launched an hosting service: playapps.net. It is a service dedicated to web applications built with Play!. It is backed by a gandi.net server. Deployment is really easy, and the administration interface is really great. It reminds me Google App Engine. For now, we are really satisfied with the service. +1 for this prediction ! It’s amazing you met people like Matt Mullenweg and Dennis Crowley. You are at the right place, for sure !